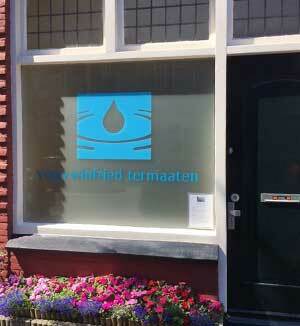 Flower essence therapy The Hague. Flower remedies are concentrated, subtle, fluid, extracts which result from a process by which flowers – under the influence of sunlight – transfer information to mineral water. In all their perfection, flowers contain the highest concentration of light/energy in a plant. This essence, an intangible, subtle energy, forms the blueprint for a particular aspect of life. It is through this essence that flowers can help people, animals and plants develop or perfect this aspect of their life. Besides remedies containing the essence of flowers, there are also gem remedies, NET remedies and remedies that express the essence of ocean flora and fauna. Flower remedies have a long history and were used in ancient cultures and civilisations. We know that the Aboriginals of Australia benefited from flower essences by eating the whole flower. The dew on the flower, energized by sunlight, transferred the flower’s subtle information to the body. An inner knowledge intuitively led the Aborigine to the right flower. Malayan, Egyptian and African cultures used flowers to treat or bring into balance various emotional states. In Medieval Europe it was common monastic practice to lay bedsheets over fields of flowers; the sheets would absorb the dew and be hung up to dry afterwards. The information contained in the flowers, absorbed by the fabric, would be used to speed up the recovery of the ill. We can deduce from works by the great mystics Hildegard of Bingen and Paracelsus that flower remedies were used to bring patients into emotional balance. In the twentieth century it was the English pioneer Dr. Edward Bach (1886-1936) who rediscovered and developed the process of making flower essences. For a long time Dr. Bach’s remedies were the only ones being produced. Hence we still often speak of ‘Bach Remedies’. However, since the end of the 1970s, flower essences have been developed in a number of places around the world. Since Dr. Bach’s day our lives have changed drastically in many aspects (socially, sexually, environmentally, educationally, technologically, spiritually, etc.). Newer remedies focus more on the demands and challenges of modern-day life, helping modern people adapt to both the major and minor changes currently taking place on the earth. Flower remedies are usually taken orally a number of times throughout the day. A few drops are released under the tongue using a pipette. Regular use of the remedy consolidates the information of the flower and is thus necessary for its catalytic effect. Flower remedies can also be dissolved in a glass of water from which sips are taken at regular intervals. The remedies can also be sprayed into a room or space. In addition, remedies can be added to bathwater for absorption via the skin. Topical treatment often brings about surprising results. Acupuncturists sometimes use flower remedies to enhance their treatment, trickling drops directly onto meridian points. Flower remedies are suitable for anyone in any situation. They can be used without problem alongside or in support of homeopathic or allopathic treatments or therapies. Though they are not an exclusive answer to all illnesses known to humankind they can function as a catalyst to a healthier, more balanced way of life. In general, children respond exceptionally well to flower remedies. The remedies are also excellent for New Age children and the problems they encounter. Flower remedies are also suitable for pets; for example, to help them cope with operations, stress, anxiety, loneliness, homesickness, all sorts of blockages, and so on. They can also aid in problems with house or garden plants. The remedies are not addictive, have no known side effects and are safe to use. They respect the user’s free will by forcing nothing on them, only supplementing what is lacking. The answers to all questions lie hidden within each human being. Remedies help to uncover the answers and gently push us in the direction where insight is waiting to be discovered. Because flower remedies stimulate a heightened awareness of our inner life, they work towards creating the important connection of body and soul. Working with flower remedies possibly means working towards healing, health and personal growth. During the first consultation, it is common practice to start with one specific remedy in order to help stimulate openness to the flower’s message. In the following consultations different combinations of flower essences may be prescribed, although in cases of more complex matters it is preferable to work with one particular essence at a time. The therapist will take into account the history, objectives, weak/strong points, relationships, work, and life experiences of the individual. Winfried Termaaten frequently works with flower remedies produced by Bloesem Remedies Nederland (BRN) and developed by Bram Zaalberg and the Australian Bush Flower Remedies developed by Ian White. Both are particularly potent and are used worldwide. Please feel free to contact me to make an appointment or for any further information about flower remedies. All flower remedy consultations take place in the studio and last for about one hour. Considering the subtle nature of flower essences, it is difficult to say how change will occur or how this will become noticeable. Some people notice no difference or see only vague changes; others notice striking changes almost immediately. Often change is seen over a longer period of time; people who work with flower remedies over a longer period become more receptive to their influence. It is quite possible that we will only observe changes at a later stage, when we sense a shift in our approach to life and in how we have come to deal with certain situations, in how we view ourselves and others and how we experience our physical being.